George Lucas may never be finished tinkering with the Star Wars films. I wish he would leave the original trilogy alone, but he can play with the prequel trilogy all he wants since almost any change would be an improvement. Case and point: the new Blu-rays have removed the awful Yoda puppet from The Phantom Menace and replaced it with the CGI Yoda we saw in Attack of the Clones and Revenge of the Sith. 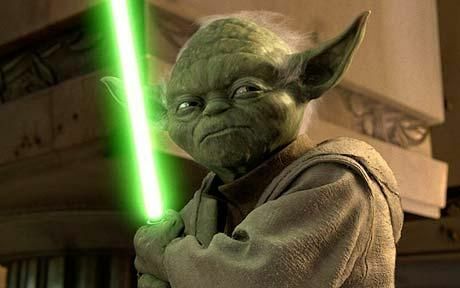 Hopefully Lucas won’t try to replace the puppet Yoda in the original trilogy because that still works. A large reason puppet Yoda looks so terrible in Phantom Menace is because he’s surrounded by CGI whereas the puppet in The Empire Strikes Back and Return of the Jedi exists in a practical environment. The other problem is that the puppet makes the character look older than he is in the original trilogy. Now if only Lucas could digitally repair the plot to the prequels, he’d really be cooking. Hit the jump to see video comparisons. The new Star Wars Blu-rays hit shelves on September 16th. Please note that the original trilogy films are the Special Editions but there have also been some minor digital restorations to those versions.